It’s no doubt that volunteers are the backbone of CKRH. 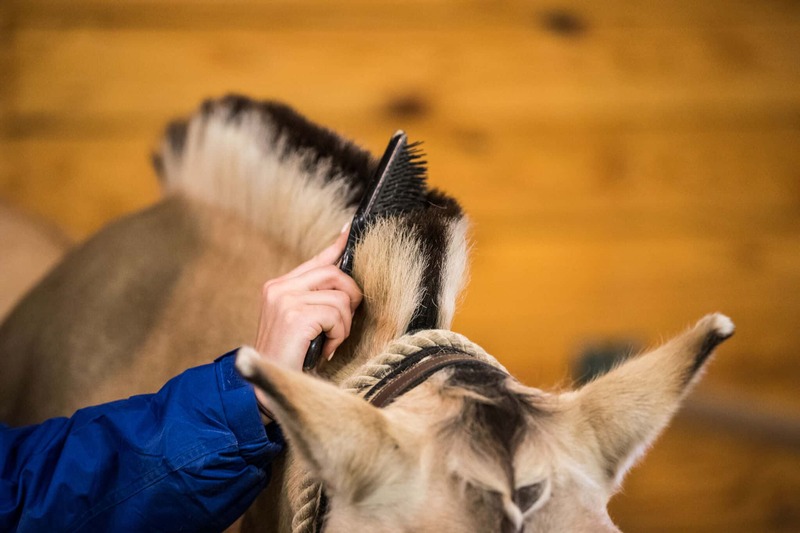 To carry out our programming and care for the horses seven days a week year-round, our needs quickly add up! This gives you a wide selection of opportunities to help our mission. 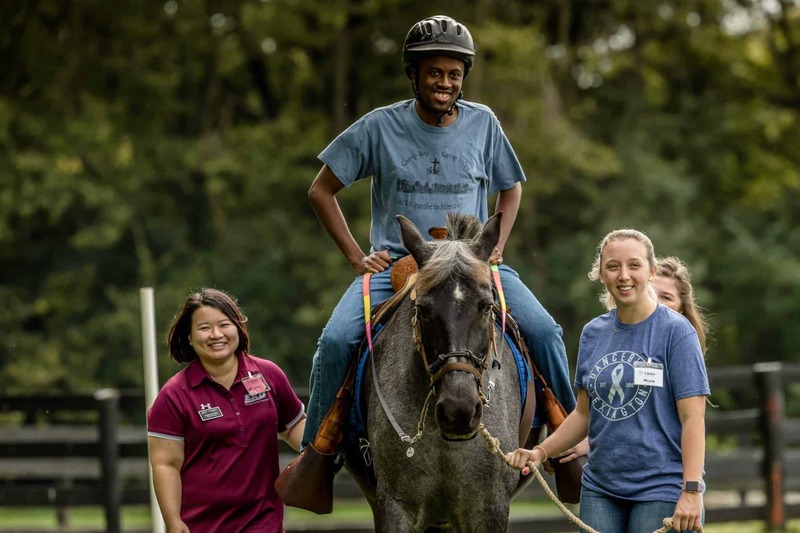 There are many volunteer options not requiring horse experience, just the desire to help other humans. Sidewalking, barn assistants, office assistants, reception desk, marketing & development, facility maintenance and special events are all examples. 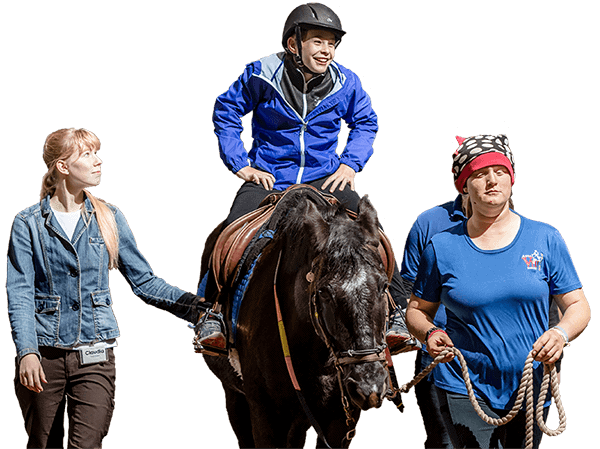 If you have horse experience, consider becoming a leader in lessons. Whatever your talent, we appreciate your support! Get started by filling out the volunteer application and plan to attend our next volunteer orientation. Individuals age 12 and older are welcome to volunteer with a minimal requirement of 2 hours per week. There are also opportunities for Community Service Groups, such as businesses, fraternities, sororities, church groups. Contact our volunteer coordinator McKenna Toenies find out how to schedule your group! More than 125 volunteers each week are needed to provide safe, quality services to our clients. 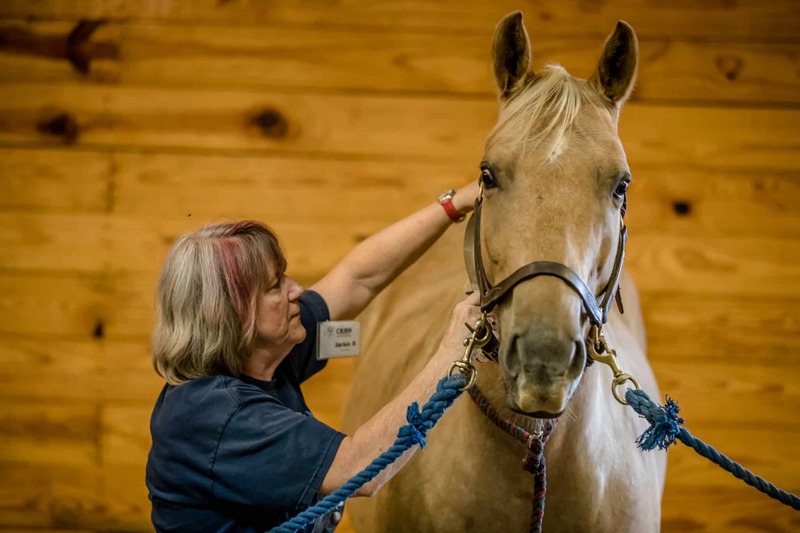 Join us in giving the healing of power of the horse to those in need.